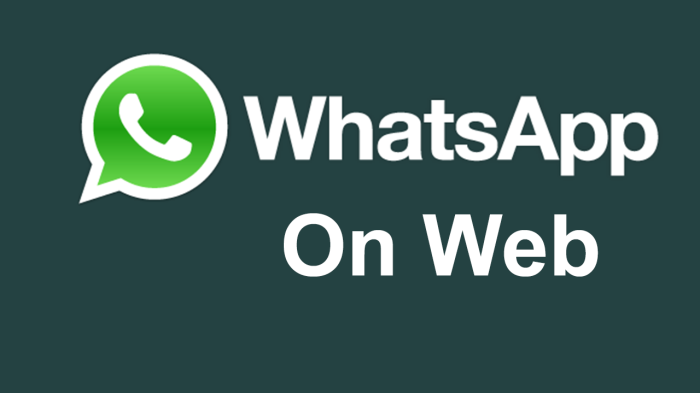 How to use WhatsApp on your PC or Laptop without Blue Stack or any Emulator. Jan Koum, WhatsApp founder recently said that the launched web client was designed to serve as an extension of your mobile device which means it can mirror all the conversations you have been using via WhatsApp on your mobile device on the web. In this post, I will teach you how to use your whatsapp on on your Pc and laptop without stack or any emulator. At the moment, this new feature only works with Smartphone (Android) phones (mainly 4.4 Kitkat and Lollipop), windows phone 8.1 and Blackberry 10. For iOS and other users, WhatsApp is yet to develop a web client that supports other platforms, as well. 1. 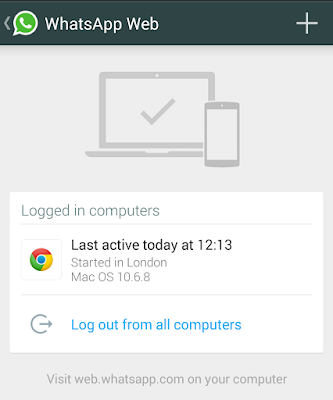 For starters, you must have a running WhatsApp account on your mobile device to enjoy the new feature. But before you proceed with the rest of the steps, it’s important to ensure your WhatsApp is updated to the latest version. 2. In case you haven’t, just head straight to whatsapp.com or to your Google play store, then tap on update. Your app should be able to update automatically. 3. Again, you need Google Chrome browser; not any other, since the feature only works with chrome. The feature is strictly web-based, you won’t be downloading any other program for your PC. As long as you have Google Chrome and the latest version of WhatsApp on your computer, you’re set to give the feature a try. 4. Ensure you have an active internet connection on both your phone and PC. Once done, you can follow the steps below to get your mirrored on the Web. On your Google chrome browser (on your laptop or PC), open just type the address “web.whatsapp.com” on the URL bar of your chrome browser and let it load. A QR code will pop up onscreen on your PC. 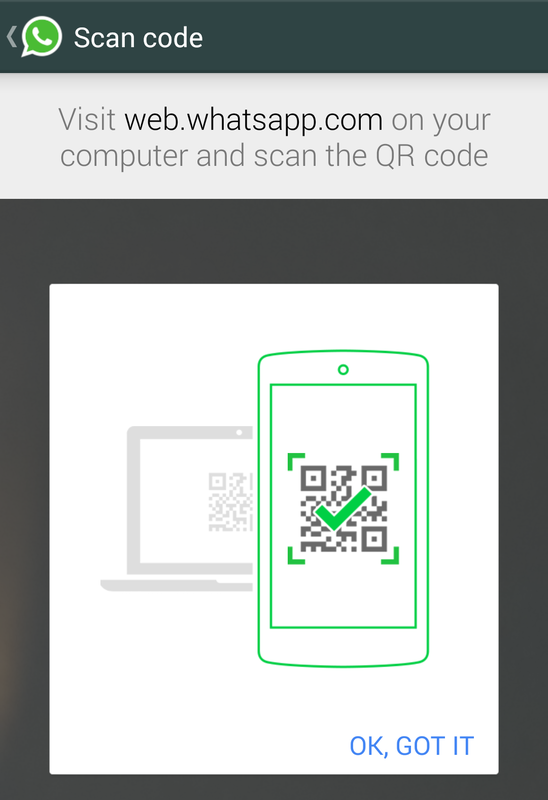 You can now scan the QR code on web.whatsapp.com using your mobile phone. First click on “Got it”. 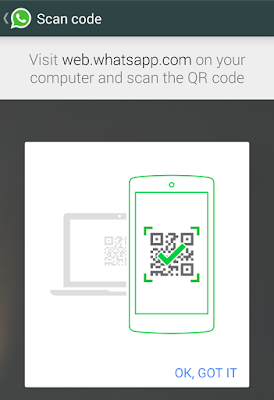 Then point the back of your phone towards the screen and move it round until the QR code is detected. Your phone should be able to detect the code automatically, displaying everything on WhatsApp web as it is on your phone. You can now start to chat with your whatsapp friends via PC or laptop. This new feature only allows you to enjoy the mirror image of WhatsApp on the Web. That way, you can chat and read conversions on the web just like you do on your mobile device. To disable the feature, just log out from WhatsApp web and your account will disappear straight away. Speaking of which you’ll have to follow the steps shown above to get your account reflected on the web again. For all the subsequent openings, just start WhatsApp on your mobile device then open your Google chrome browser before heading to web.whatsapp.com. Please note: You can only open WhatsApp on the web if you have it opened on your mobile device. 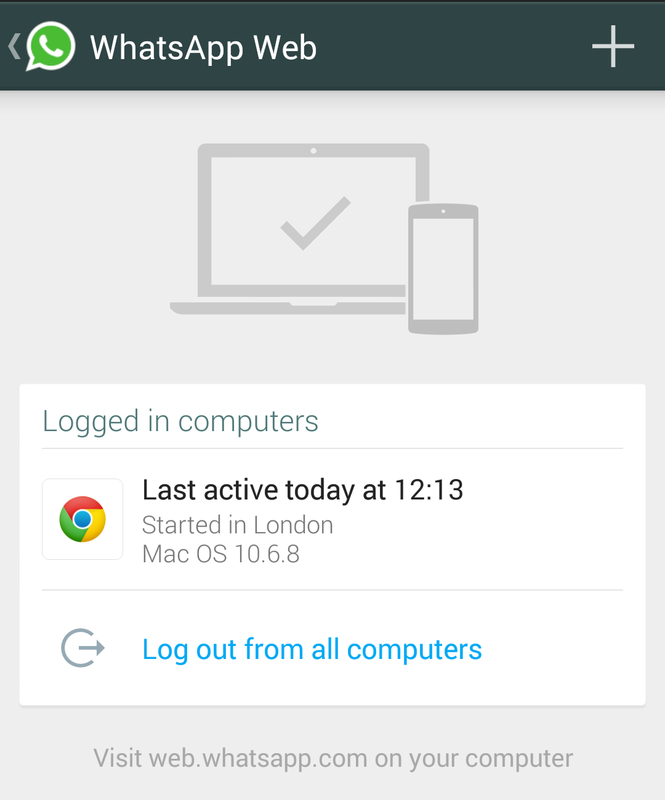 If you’re using WhatsApp web on a public computer, log off immediately once you finish using it. Otherwise, if you end up forgetting, any other person using the computer can have full access to your WhatsApp account. Nice one, it worked. Thumbs up!! !